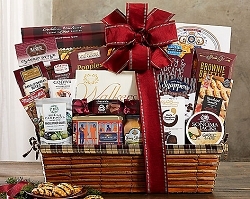 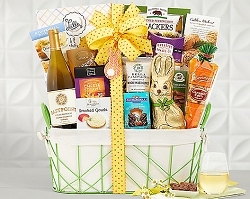 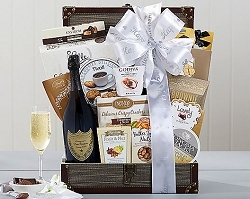 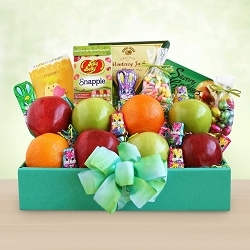 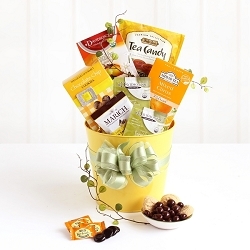 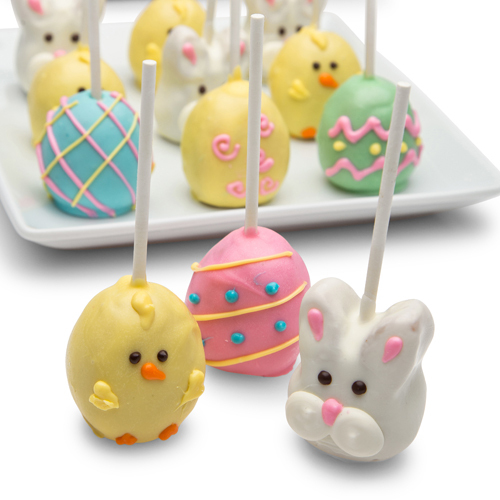 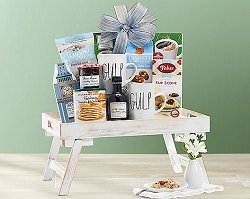 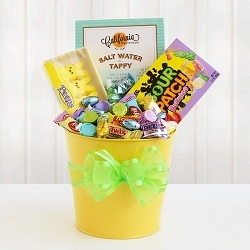 Send them this gift basket full of yummy deliciousness. 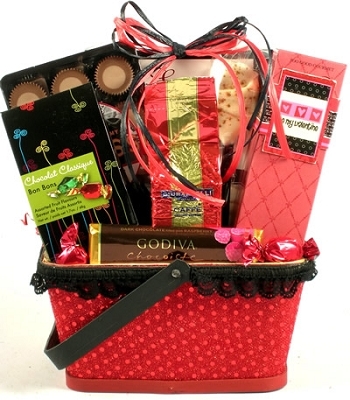 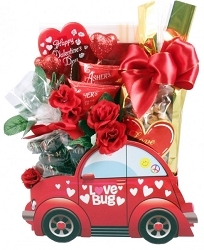 The Sweet Valentine Gift basket is chock-full of gourmet snacks and treats perfect for this special day. 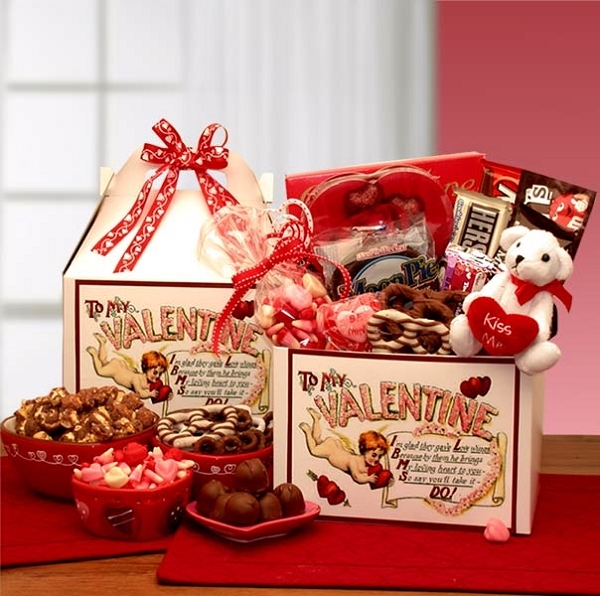 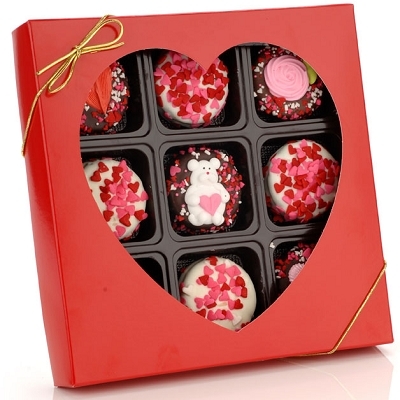 Featuring Ghirardelli Valentine's Strawberry Bark Impression Gift Bag, Lindt Milk Chocolate Truffle with White Chocolate Filling, Cashew Roca Buttercrunch Candy, Beth's Chocolate Chip Cookies and more! 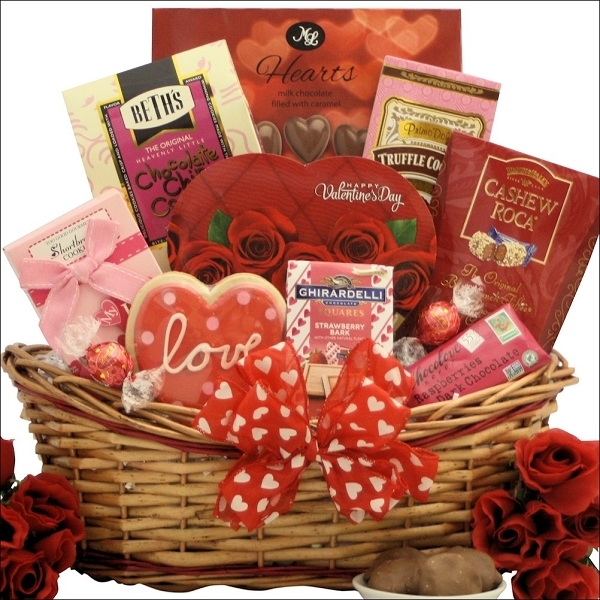 All this and more make the perfect impression on your special someone this Valentine's Day! 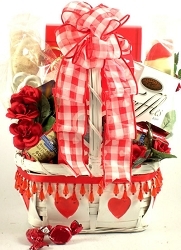 ...in an Oval Honey Stained Gift Basket with Red Trim.